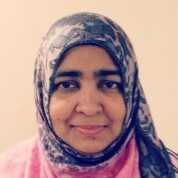 Yasmin has a degree in industrial chemistry and worked as an engineer before deciding to become a chemistry teacher. She believes that teachers should be those with particularly high ability and knowledge in their subjects. Her background as an engineer allows her to include real-world applications and stories in her lessons at SMK La Salle, Petaling Jaya. The Malaysian government recognized her contribution with an Excellence Award in 2008 and she has now been appointed the teaching coach for her state in chemistry. She conducts her lessons in English and involves her students in the organisation of study camps to teach them extra skills that will be valuable for their future career. She takes her students on trips, holds weekly discussions about current world affairs to develop them into global citizens and allow them to bond with her and each other. Yasmin uses social media and mentors to support students during their preparation for the final exams. Her top students perform chemistry experiments at school assembly and in other schools to get younger students interested in the subject.